Ever wanted to change the resolution of a virtual machine (in VirtualBox) and couldn't find the resolution you want in the settings? 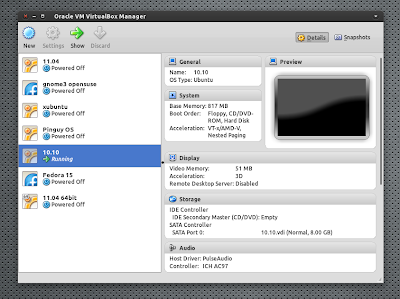 You can easily do this using VBoxManager, a command line tool that lets you control various aspects of your virtual machines. There's one thing you need to know before trying this: you need to install the VirtualBox Guest additions before trying to set a high resolution or else it won't work. Replacing "MACHINE NAME", WIDTH, HEIGHT and BPP (bits per pixel - 24 or 32) with your values. Thanks to Linuxundich.de for the info!